To use Talk, you'll need to purchase a telephone number from us. You can purchase this number from directly within Talk. If you already have a support telephone number, and want to keep using it, you can forward calls from your support number to the Zendesk Talk number. Important: If you are using the Zendesk Talk Lite plan, you are limited to adding only one Zendesk Talk number. For information about managing numbers, see Managing Zendesk Talk numbers. For a detailed list of numbers you can purchase, see Zendesk Talk number capabilities and their requirements. If you have an existing telephone number that you use for support calls, you can forward these calls to your Zendesk Talk number. If you have a US-based number, you can port the number to Twilio to use as your Talk number. For details, see Porting numbers into Zendesk Talk. Click the Admin icon ( ) in the sidebar, then select Channels > Talk. Select a country and area code (if applicable) and then click Search. You can also search for phone numbers containing specific sequences of letters or numbers. Tip: For more details about searching for phone numbers, and adding vanity numbers, see How can I have a vanity number in Zendesk Talk? Select a phone number and then click Next. Note that your phone number is free while you are in trial but cannot be changed. To change your phone number or add an additional number, you must add Zendesk Talk to your account's subscription. Review the number you selected and monthly deduction amount, then click Next. Accept the Zendesk Talk terms and conditions and click Next. If you selected a local number from one of the countries listed below, you also need to agree to provide a business address for that country. When you click Next, the Country address certification window appears. Enter the address and click Next. Note: External numbers for outbound calls is a feature only available on the Talk Professional and Enterprise plans. When agents place outbound calls, the Talk number selected in the call console appears as the caller ID. If you have an outside number that you'd like to appear for caller ID instead, you can add it as an external number. This does not route incoming calls to the external number into Talk. It only allows you to place outbound calls using the external number. For details on configuring using an external number for your outbound caller ID, see Standardizing your outbound caller ID. Click Add number, then select Add an external number. Enter the external number in the window that appears and click Call to receive a verification code. Enter the verification code from the screen on your phone to verify the external number. The external number now appears in your list of phone numbers. If you want to keep using an existing telephone number for support, you can forward the calls to a Zendesk Talk number. 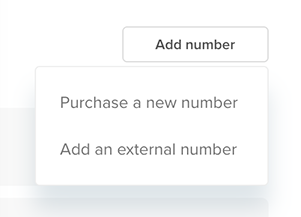 If you have a US-based number with another carrier, you also have the option of porting the number to Twilio to use as your Zendesk Talk number. Note that porting a number can take two to four weeks. Set up a Zendesk Talk number as described in the section above. Ask your telephone service provider to forward calls to the Zendesk Talk number. Make sure to check with your existing provider about passing the inbound caller ID to your Zendesk Talk number. Zendesk let's you move or "port" your existing phone number to Zendesk Talk for many countries. Bear in mind that this process might take a little time, so factor that into your plans. To get started, see Porting numbers into Zendesk Talk. If you're using a number from one of the following locales, you'll also need to add a local business address. If you're using an existing number that requires an address, you can enter it in the Talk channel settings. I would like to know is there any plan to expand the countries of supported inbound numbers? We're in Taiwan and would love to tryout ZenDesk Voice if you provide numbers here. Hi I did not find China Mainland in the country list. Does it mean I CAN NOT add a Mainland number to Zendesk Voice now? From what I understand, yes.. you can't have a China number if it's not on the list. If your customer is outside of China then it's not a problem. I wondering,when selecting a phone number for a Talk channel in the UK, the Local phone nº charges for the end-users is the same on the whole UK territory? I would like to know if there is any plan for Hungary and Romania? Hi! is there any plan to add Argentina and Chile to the countries list? Hi there, I don't have the function to "Add an external number" How can I change the Caller ID? Please note that External numbers for outbound calls is a feature only available on the Talk Professional and Enterprise plans. Hi, I just wanted to ask, if our customers called our Zendesk number, is it toll-free? If you've purchased a toll-free number then indeed it's a toll-free number. You can purchase local, toll-free, mobile and national number. Full list of number availability and capability is here. Hi - we're opening up distro in uk/eu and would like a number for our customers to call. what are best practices for doing this? We have a UK number set up - should our EU customers use this number or a different one? I have been looking into our resources on adding Talk numbers, and I believe you should be all set with a UK number. There are no outright advantages to having your EU customers call a number that's different than the one you already have set up. Additionally, a UK number has SMS and Voice capabilities so you should have everything you need in a number! Hi - If we have multiple customer service reps in the call center, would we need to purchase multiple Zendesk Talk numbers? One for each? If I set up a toll free number, do I also need to set up an external number to be able to make outbound calls? So we would have 2 numbers? What happens when a customer tries to call the outbound number that shows up on call display? Does that get routed inbound? I'm very sorry for the delay, but I'd be happy to answer this for you! Currently, you would not need another number if you purchase a Toll Free number, as the Toll Free Number can definitely make outbound calls. However, there are some limitations that come with this (Such as calling other toll free numbers, as they would not connect). If your customer were to call the number back on the caller ID it should get routed inbound as it will display that same Toll-Free Number. When can we use this talk channel from S.Korea? ㅠㅠ I bought this channel 1 years ago, but can't use this channel by this time.. 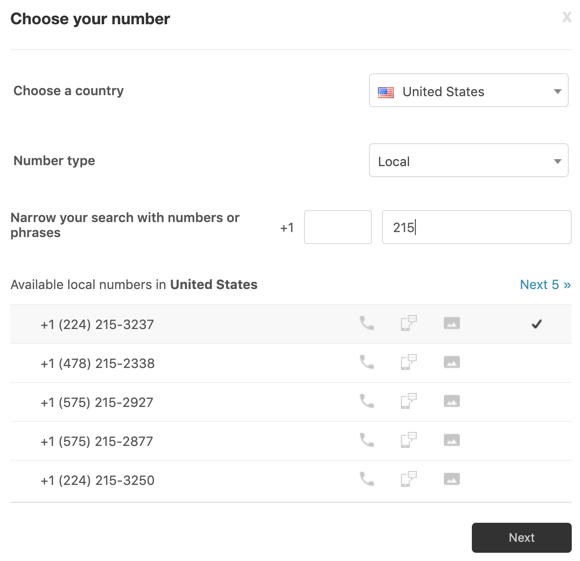 If you look at the available countries in the drop down on this article, you'll see that you can use Zendesk Talk with a toll-free number in South Korea. Have you tried adding one yet? Hello Thanks for your reply. I've checked recommend article and trying to set up the number for using talk channel. but can't see any numbers for toll-free. yellow mark means "you can't find umber, please try again"
would you please check this? South Korea toll-free numbers are currently in stock but are in beta, which requires that you sign up for access. Please use the link above to gain access. National numbers (which are generally available) are currently out of stock with Twilio but they have an order out for more. We would like the business name to show up instead of the Zendesk Talk number. The official number is forwarded to a Zendesk Talk number, so when I try to add an external number, the call gets routed to Talk, and before I can use the keypad to enter the number, an error greeting is played that the wrong number was entered. We would like our official number to be the one displayed instead of the Talk number. Information is missing for France numbers under "Adding a local business address". Not only you have to give your company address, but if the company is in Paris you also need to know which part of the town your company is and you can select only the numbers which are designated for that part of the town. I don't know if it is also for other parts of France or if Paris is specific in this. If I understand this correctly, you have a business number that forwards into Talk and you have that same business number as an external number in Talk. In this case you should be making calls out of that external number so it is that caller id that is presented to the person you called. If you want the name of the company to appear then this is not something we control and you should discuss this with the carrier that you have the business number with.